How Long is a Typical Ski Season? 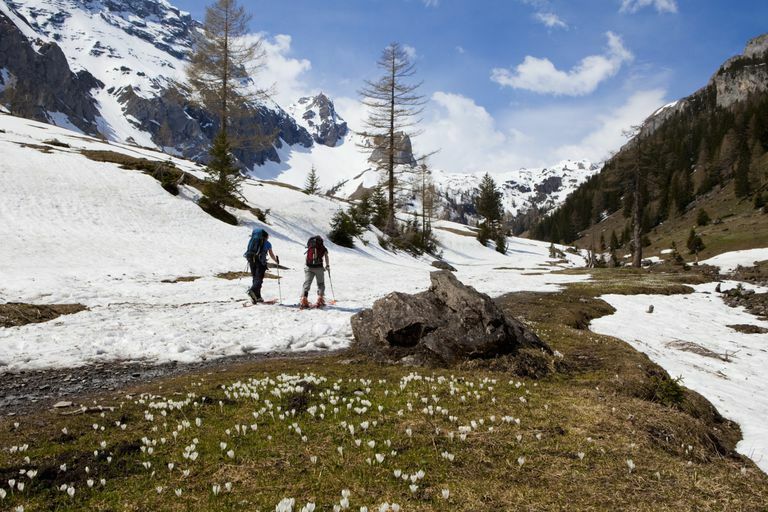 The length of a typical ski season varies by the local climate, the individual mountain and, of course, the seasonal weather conditions. But the average length of a ski season is five to six months for many U.S. ski resorts. Some mountains are able to stay open longer due to higher elevations and colder temperatures, not to mention the great modern ski season-extender, snowmaking equipment. In the northeast, Killington Ski Resort gets over 250 inches of natural snow each year and has the country's largest snowmaking system. Because of this, Killington has the longest ski season in the Northeast, typically opening in November and closing during May or early June depending on conditions. In the Rockies, Colorado resorts typically open around Thanksgiving and close in mid-April. The popular areas in Utah have similar seasons. One notable exception in Colorado is Arapahoe Basin, which has a summit elevation of over 13,000 feet. It's season usually runs from late-October to early-June. Near the West Coast, Mammoth Mountain Ski Area opens in November and has an unusually long season, sometimes not closing until the 4th of July! Just because a ski resort is officially open doesn't mean all of its trails are open. Early season usually means only a handful of runs have enough snow to be safe for skiing. And much of that snow often is manmade. Check the ski area's website to learn about which runs are open before you head up in early -- or late -- season. Determining how much snow is manmade is difficult, but if only a few runs are open you can bet they've had a lot of help from those noisy vaporized water machines.